This oscillator is smooth as the name implies. It also shows hidden divergence arrows. 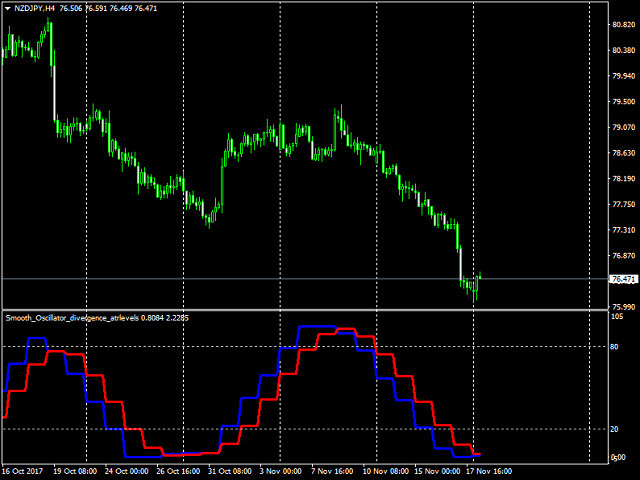 The indicator also has multi timeframe features to make it very flexible to use. The multi time frame features can be adjusted as follows: 1 or M1, 5 or M5, 15 or M15, 30 or M30, 60 or H1, 240 or H4, 1440 or D1, 10080 or W1. Timeframe - When set to 0, works on the current timeframe. Draw Divergence arrows - If set to True allows divergence lines to be drawn. Display Alert - If set to True, allows alerts to be displayed when hidden divergence arrow appears. Signals are lagging so you need to look at charts manually and don't depend on alerts. 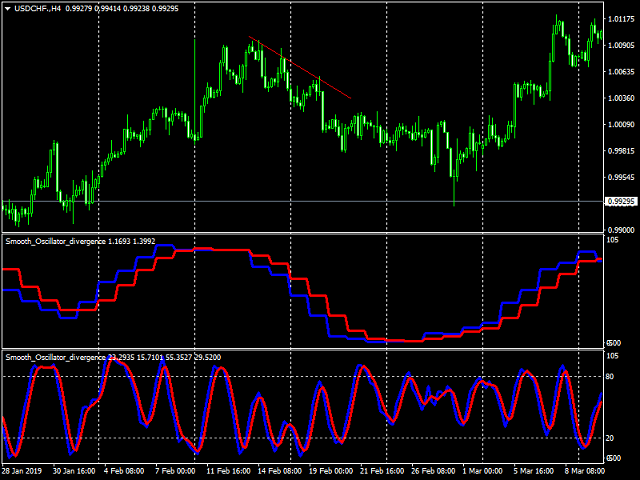 But it is much easier to identify Divergences using this indicator. This is amazing. Thanks for this product. In your next version please dont forget to add push notification.